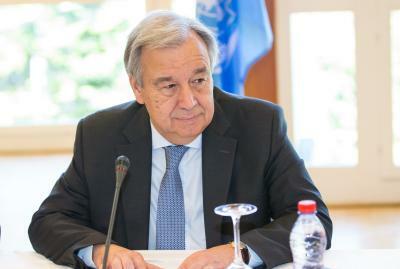 United Nations, July 22 (IANS) UN Secretary General Antonio Guterres has expressed concern over the situation in the Old City of Jerusalem, where three Palestinians were killed and 400 wounded in clashes following the Friday prayers. There has been scene of escalating violence between Israelis and Palestinians in the Old City area with protests over security measures and restriction on access to the Temple Mount in East Jerusalem. Guterres has “deeply deplored” the three deaths in the clashes on Friday with the Israeli security forces, Xinhua news agency reported. He has called for “these incidents to be fully investigated”, Guterres’ spokesperson said in a statement. The Secretary General has urged the Israeli and Palestinian leaders to refrain from actions that could further escalate the situation. In the statement, Guterres also called all political, religious and community leaders to help reduce tension. “The Secretary General reiterates that the sanctity of religious sites should be respected as places for reflection, not violence,” said the statement. Anger across East Jerusalem and the West Bank boiled after Israel limited Muslim access to the holy Al-Aqsa mosque compound in Jerusalem’s walled Old City on Friday, allowing only women and men over 50 to enter.